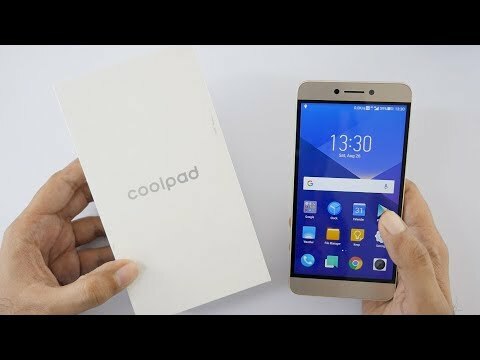 3 Pricebaba users have written their experience with Coolpad Cool Play 6. If you own Coolpad Cool Play 6, please do leave your feedback too. Lowest price of Coolpad Cool Play 6 price in India starts at Rs. 12,299 Coolpad Cool Play 6 is available on Flipkart at Rs. 12,299. Prices updated on 25th April 2019. Despite being an affordable phone. the Coolpad Cool Play 6 packs a lot of power in its arsenal. The device comes with a powerful configuration along with an impressive 6GB RAM. Delivers a lag-free performance while running multiple tasks and can handle heavy graphics games with ease. The cameras are quite good considering the price tag. You get 64GB of storage, which is sufficient to carry enough content for your entertainment. The Coolpad Cool Play 6 is powered by a 4,060mAh Li-ion battery, which keeps the entertainment running for long hours. As for the connectivity, the device has a wide range of options such as 4G, Wi-Fi, mobile hotspot, GPS, Bluetooth, etc. The Coolpad Cool Play 6 features a 5.5-inch LCD display that exhibits a pixel density of 401 PPI with a 1,920 x 1,080 pixels (Full HD). The device is packed in a metallic body and comes in two colour options - Sheen Black and Gold. It gets 64GB of inbuilt memory for storage, which lets you save a ton of files, documents, images, mp3, videos etc. The Coolpad Cool Play 6 is armed with an 8MP front snapper for selfies. At the back, it features a dual primary camera setup, which consists of two 13MP lenses. The primary cameras perform well while capturing images and recording videos. The Coolpad Cool Play 6 is equipped with an octa-core processor, which clocks at a speed of 1.95GHz and manages the overall performance of the smartphone smoothly. The processor is seated on a Qualcomm Snapdragon 653 chipset and is coupled with a 6GB RAM, which is rare in this price range. An Adreno 510 GPU handles the graphical requirements.